It’s sad to say, but business professionals are pretty limited in what they can wear. Women have it a little easier with a little wider range of clothing options, but men are usually bogged down with the ole suit and tie. However, that doesn’t mean that you can’t find a little variation here and there. The Zip Tie is a fashion accessory that will bring casual to the business setting (in a good way). It’s a modern take on a boring piece of clothing, as it zips down the center instead of being tied at the neck. 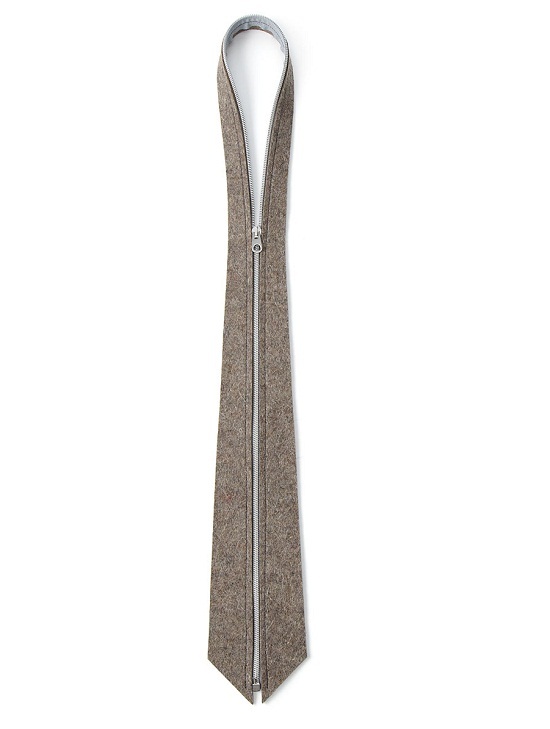 This 100% merino wool tie will have your coworkers doing a double-take. In length, it measures at 28” long, and is 3.75” at its widest point. This is a dry-clean only item, but that probably won’t be an issue as your other office attire is likely of the same caliber. Seeing that this is an artistic statement, you shouldn’t be too surprised at a higher price tag, pegged in at $65 a pop.